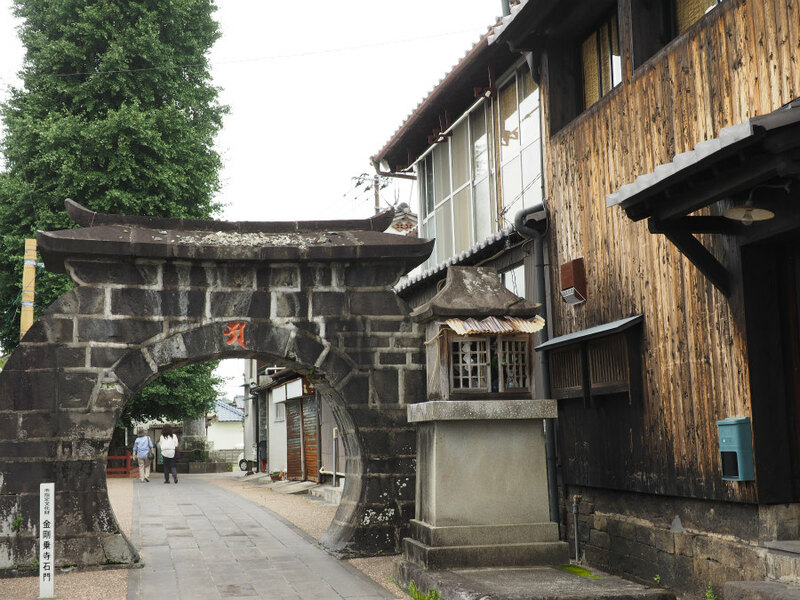 The fertile plains of the Kikuchi River basin have been known for its rice production. 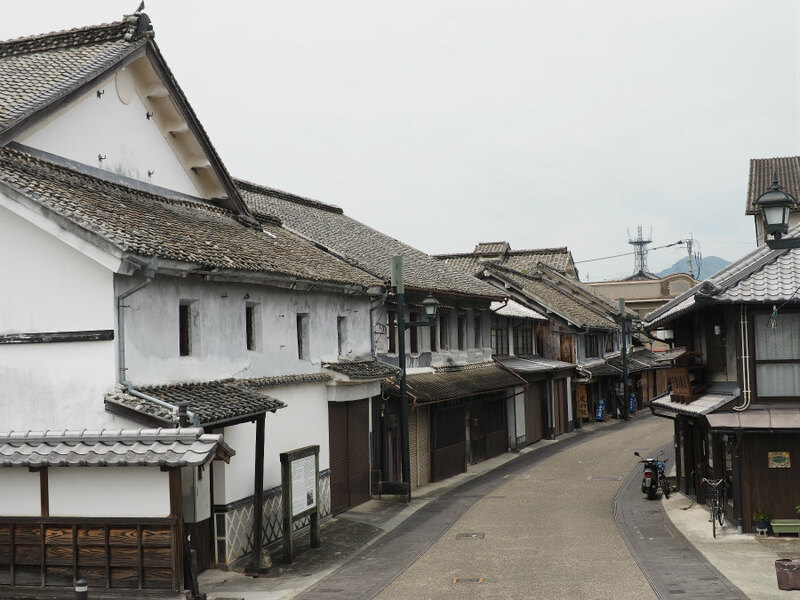 Rice ,produced in this plains, was transported via the Kikuchi River to Osaka, Japan’s largest center of rice trading in the Edo period, while influencing the rice market of the entire country. 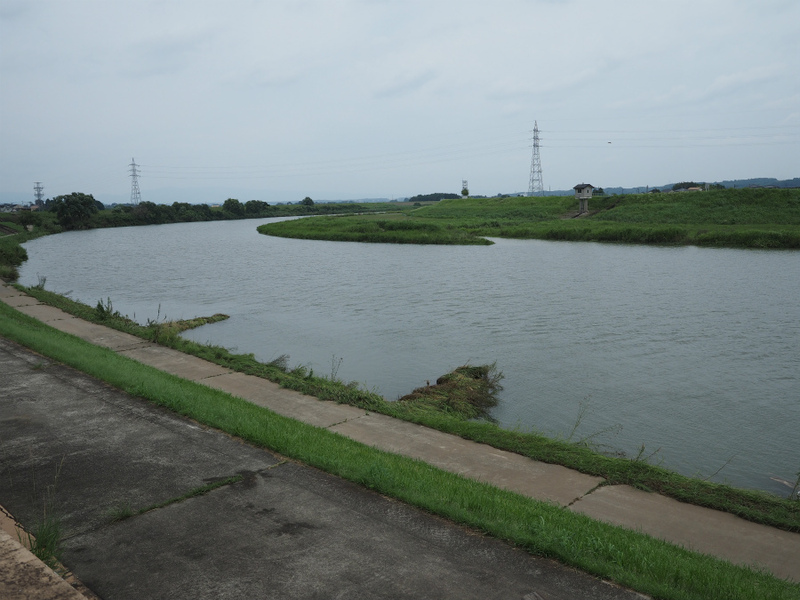 Water transportation using the Kikuchi River developed as a commercial artery. 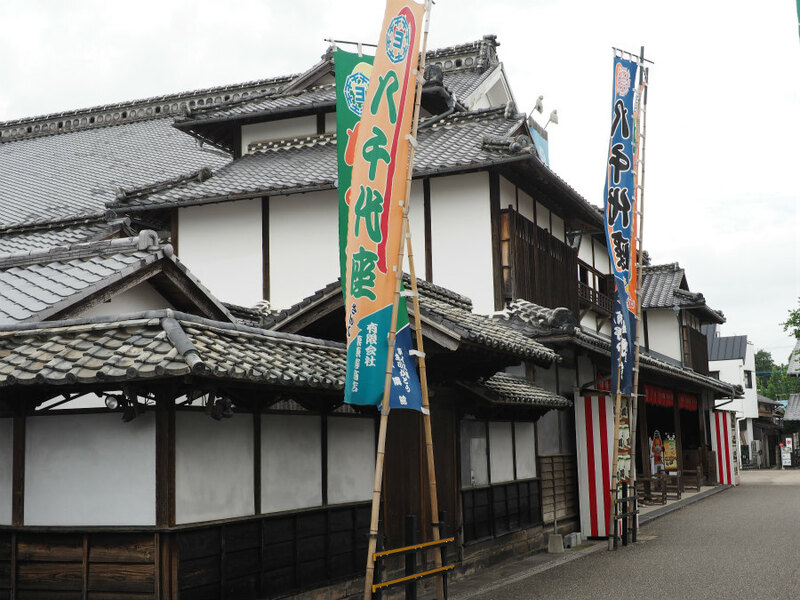 Yamaga, located in this river’s basin, therefore flourished as a trading center of various products including rice. 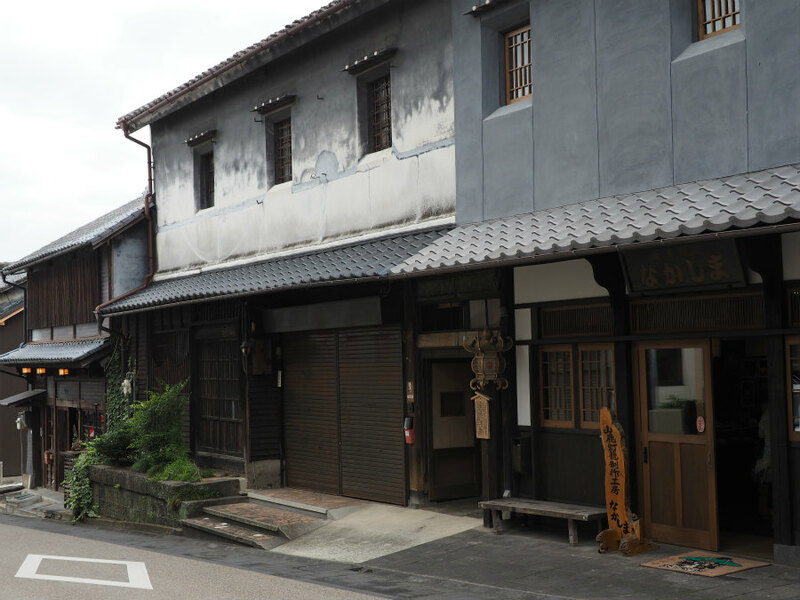 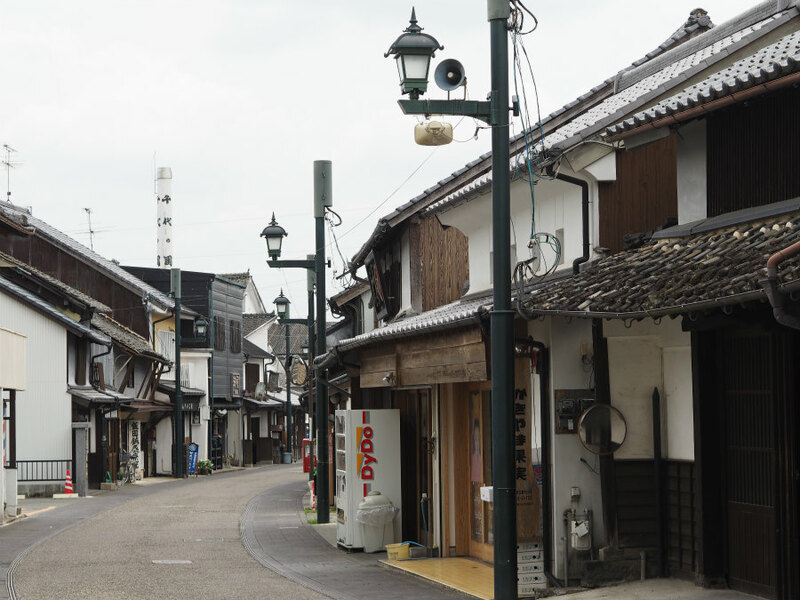 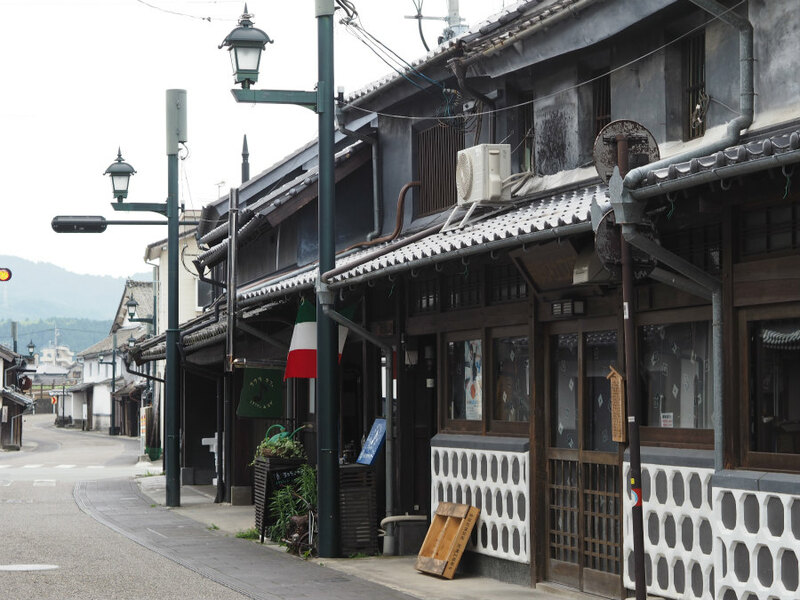 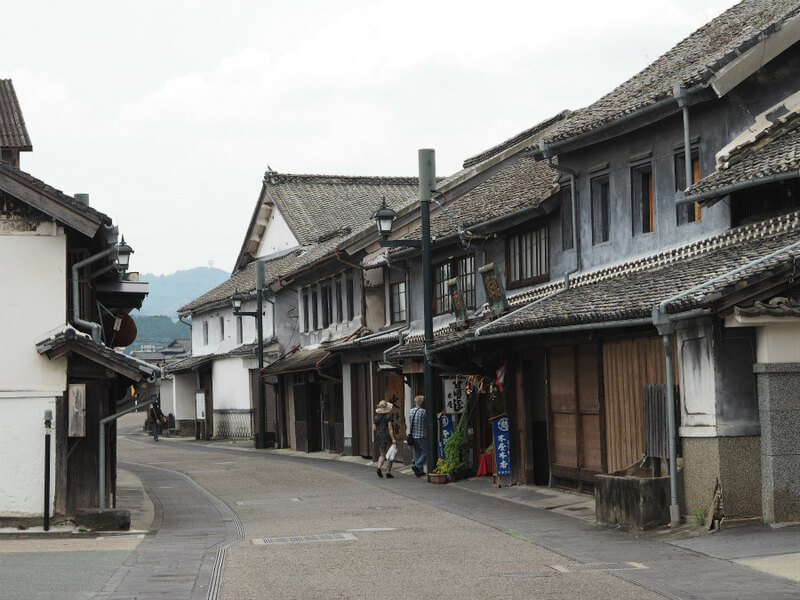 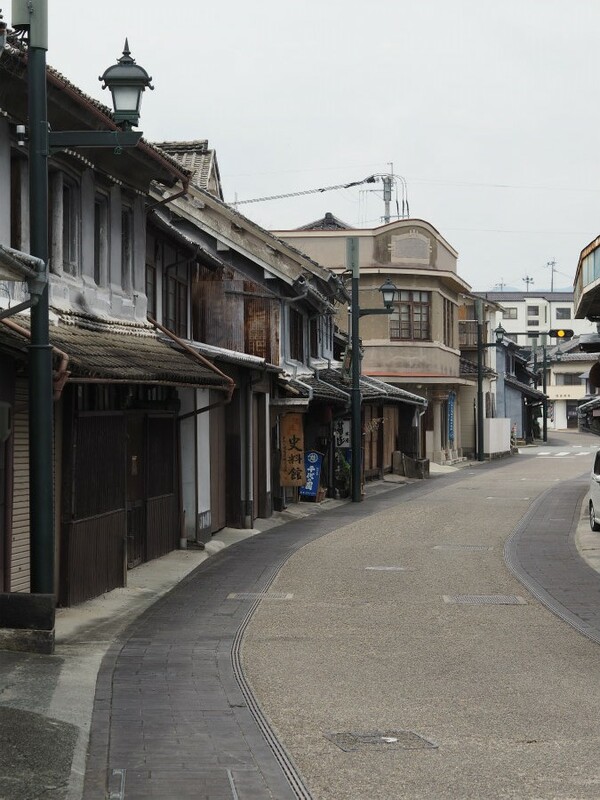 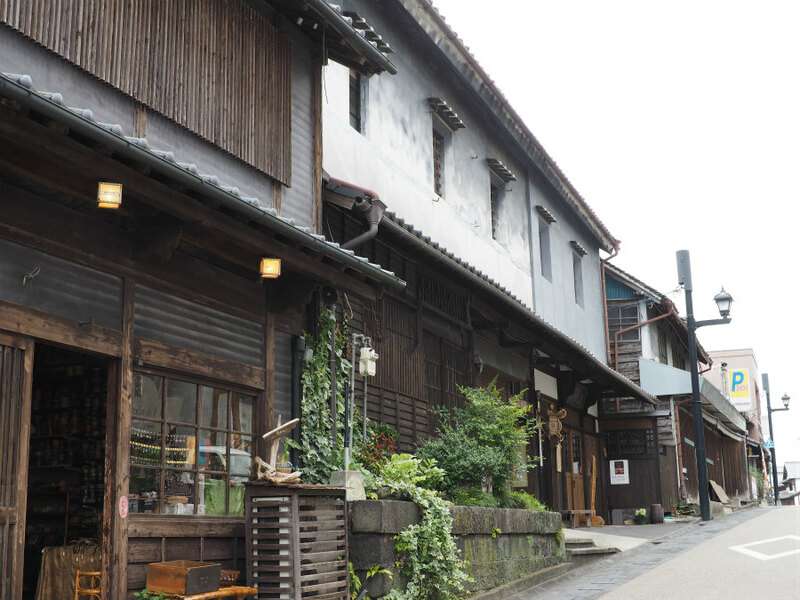 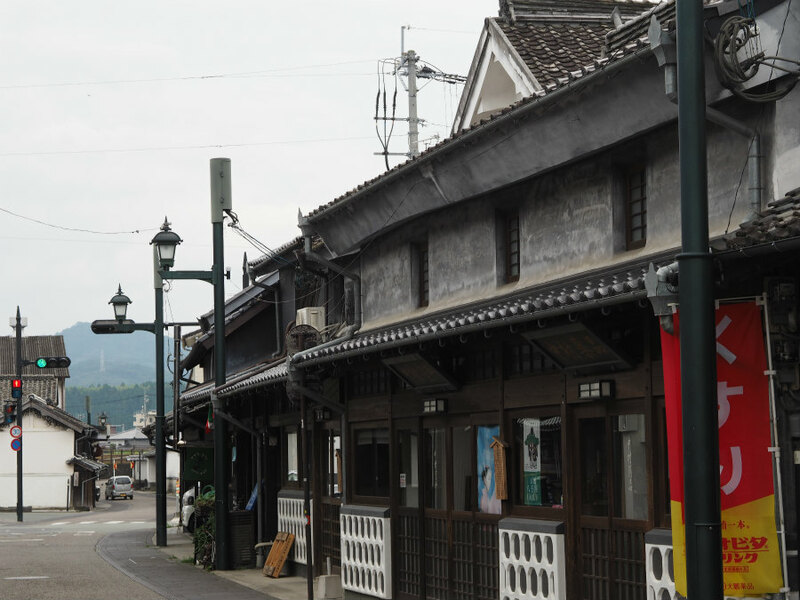 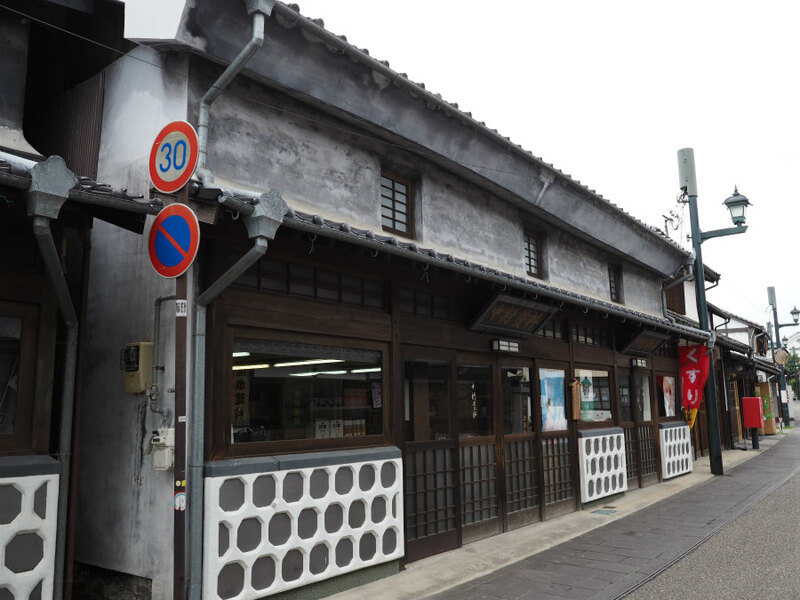 Back then, there were many rice-related shops, such as sake breweries and rice malt shops, in Yamaga along Buzen Way(the main street running from Kumamoto to Kokura via Yamaga). 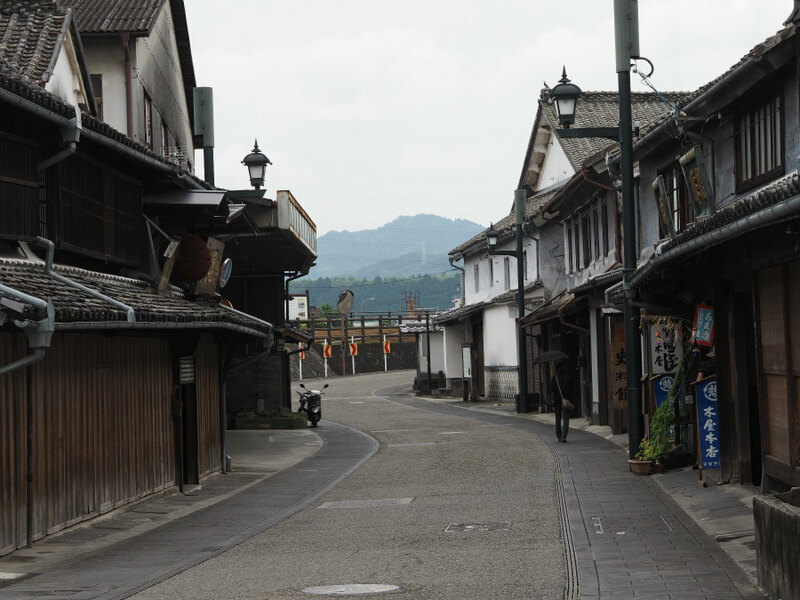 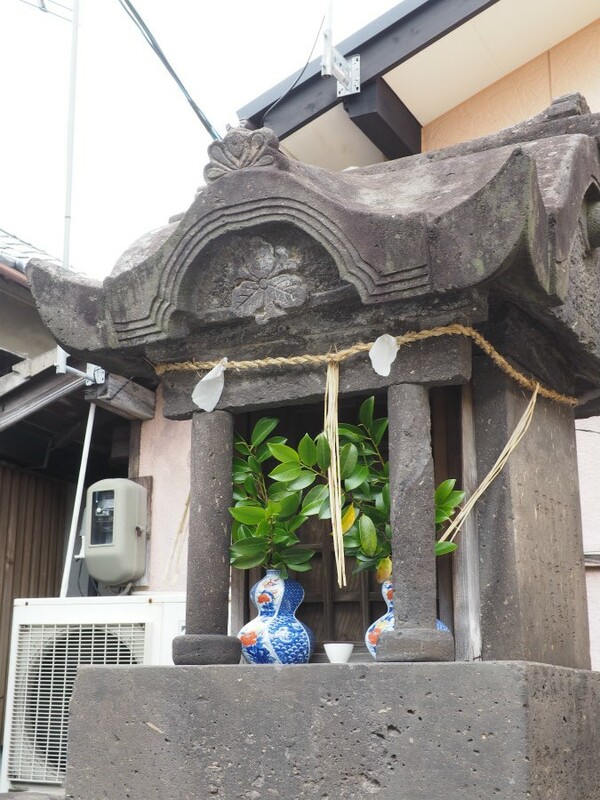 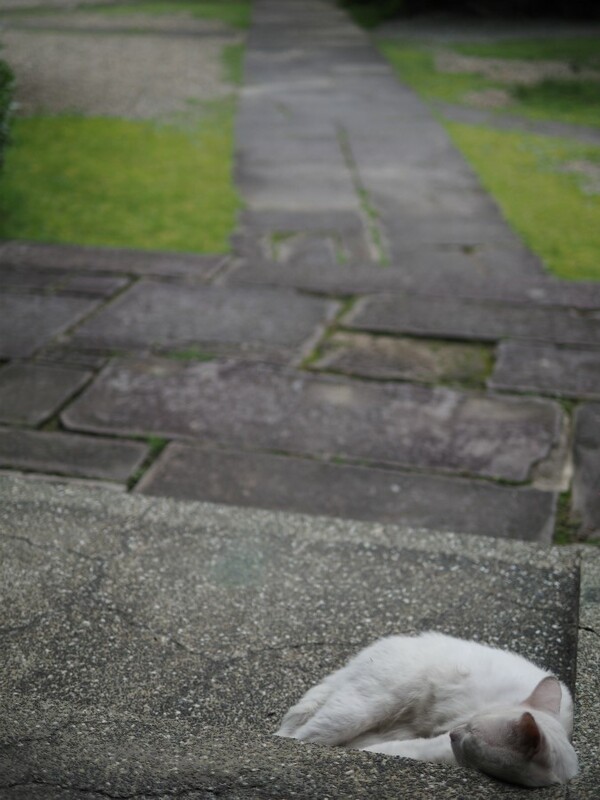 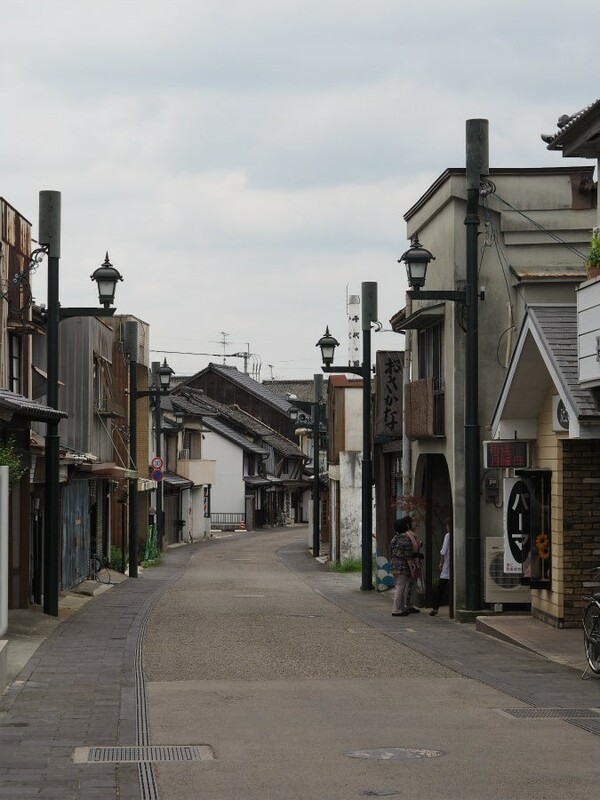 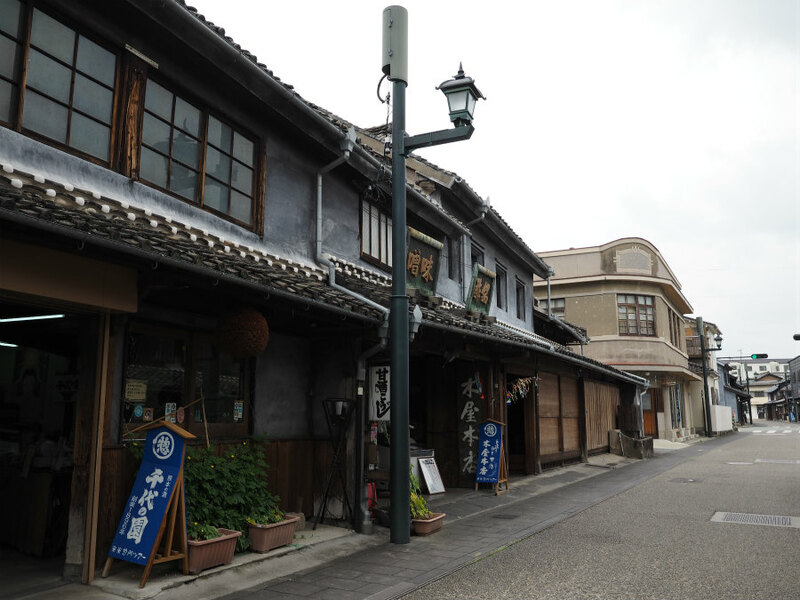 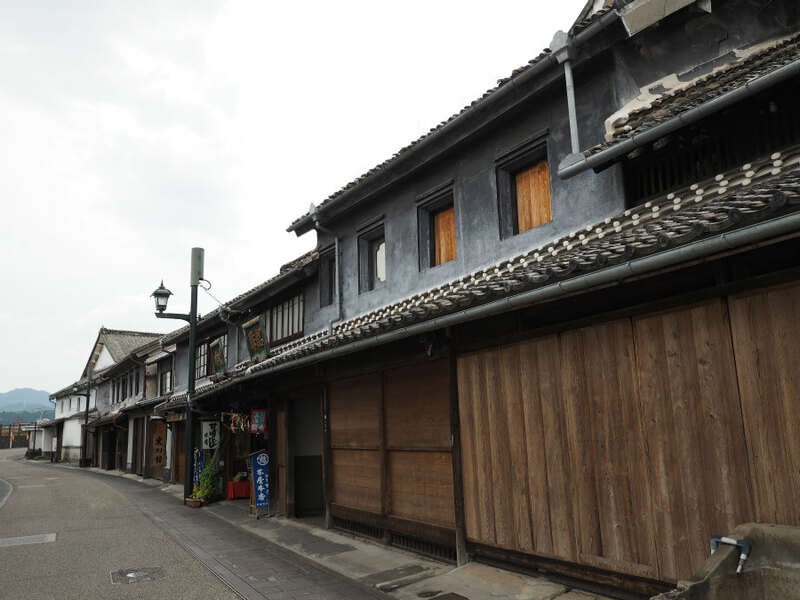 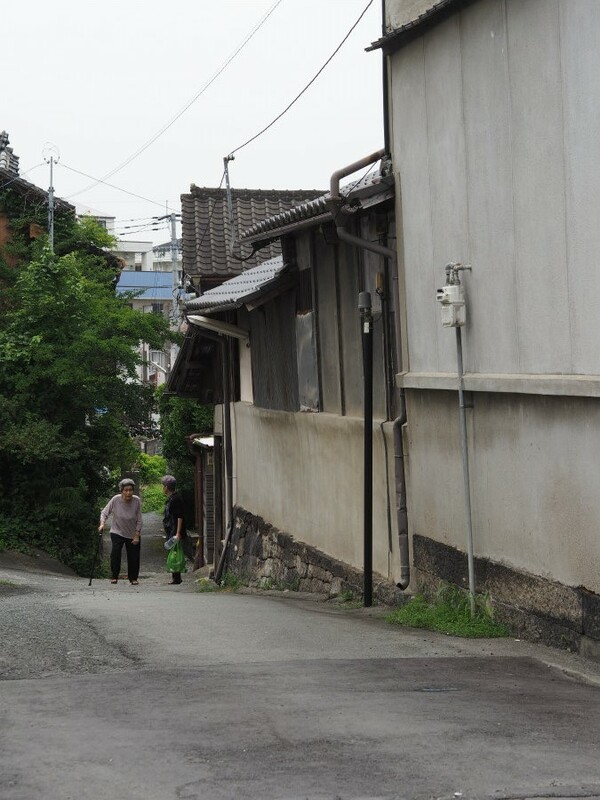 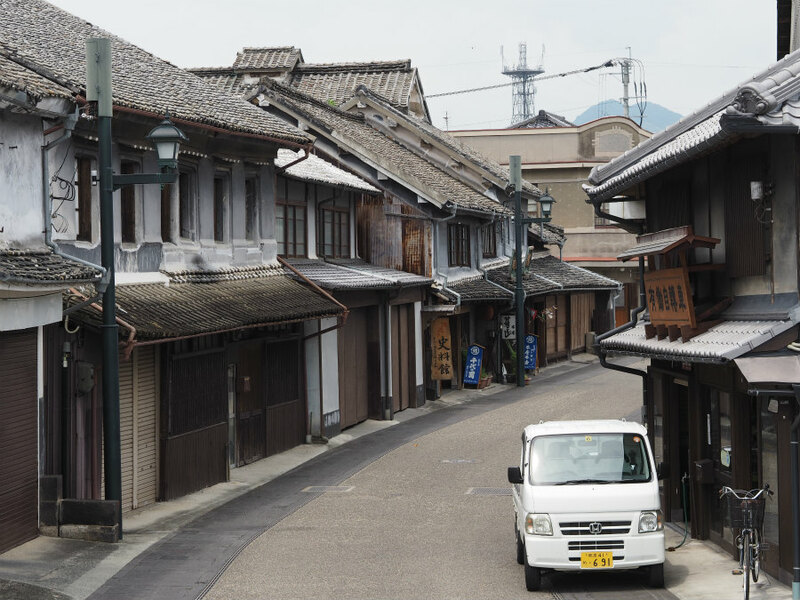 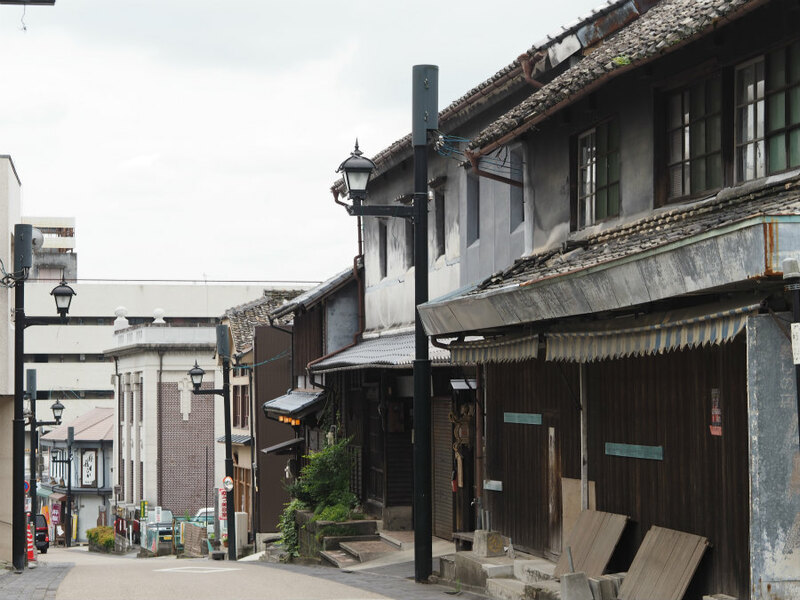 Yamaga still has many old buildings along the street, retaining the atmosphere of that time. 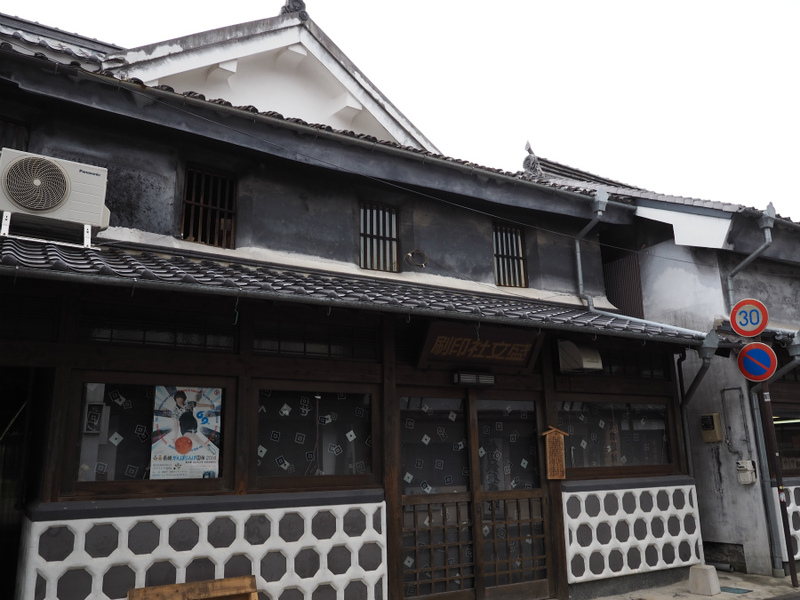 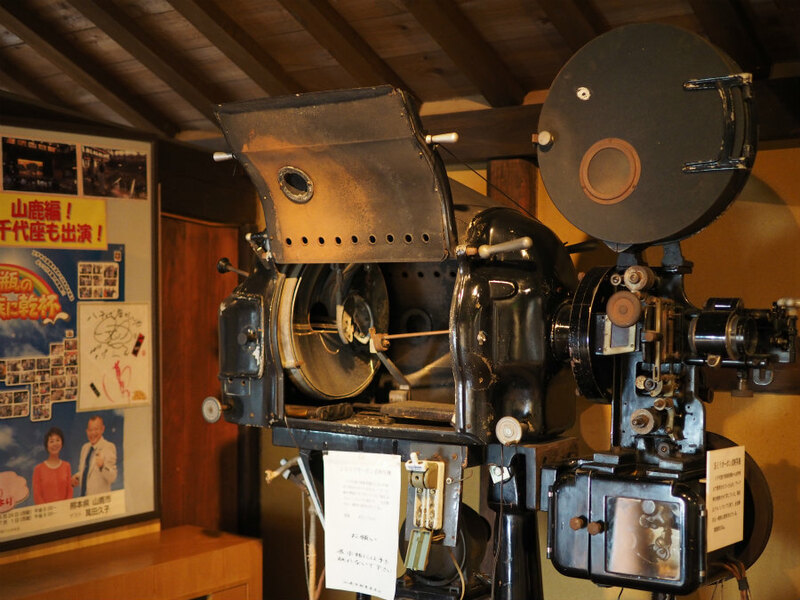 Yachiyo-za Playhouse was established by a merchant from Yamaga in 1910. 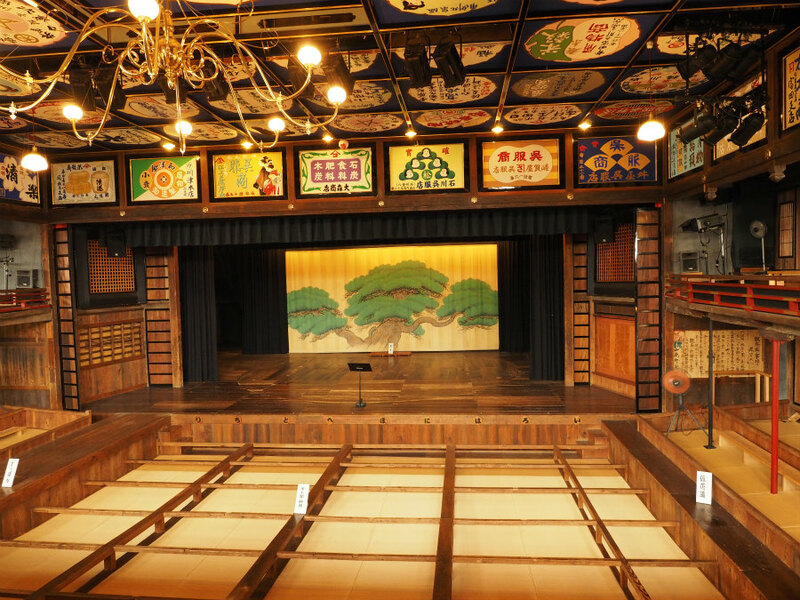 It has various facilities unique to kabuki playhouse in the Edo period, such as box seats, hanamachi (a long, raised stage that runs through the audience from the back of the theater to the stage) and suppon ( a hole that rises and falls under the hanamichi, which is used for appearance/ exit of unreal roles such as ghosts). 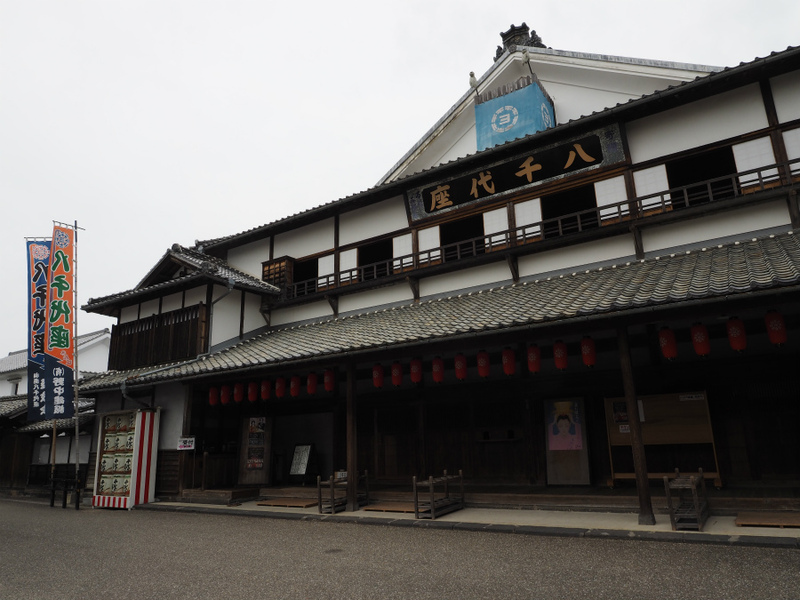 Presenting kabuki plays, concerts and various other programs,the playhouse attracted huge audiences. 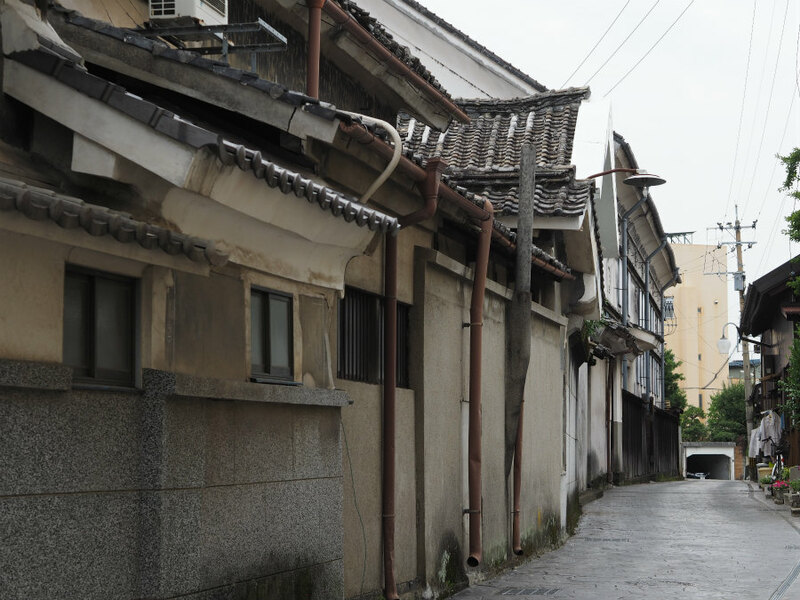 In the 1970’s, however, it began being used less, and became run down with a leaking roof. 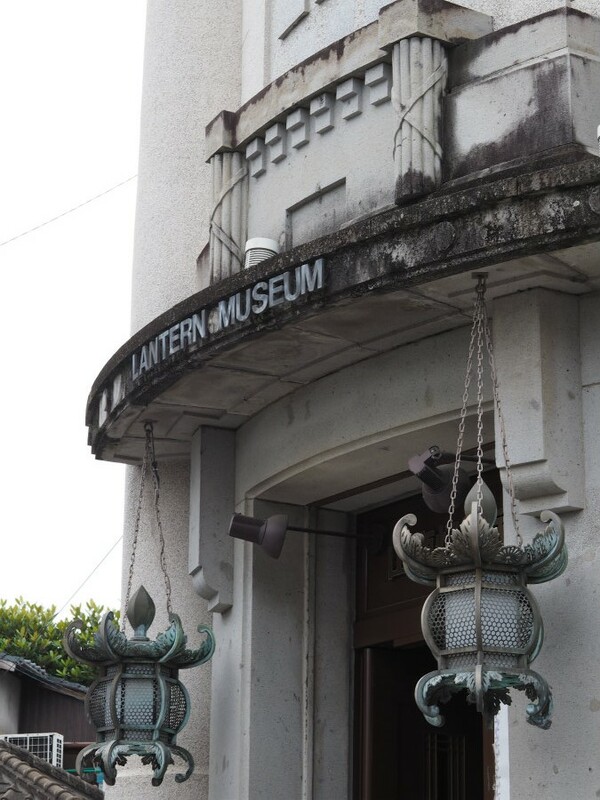 Later, a citizen’s movement to preserve the playhouse became active, and it was designated as a national important cultural asset in 1988, after its roof was repaired with money from public donations. 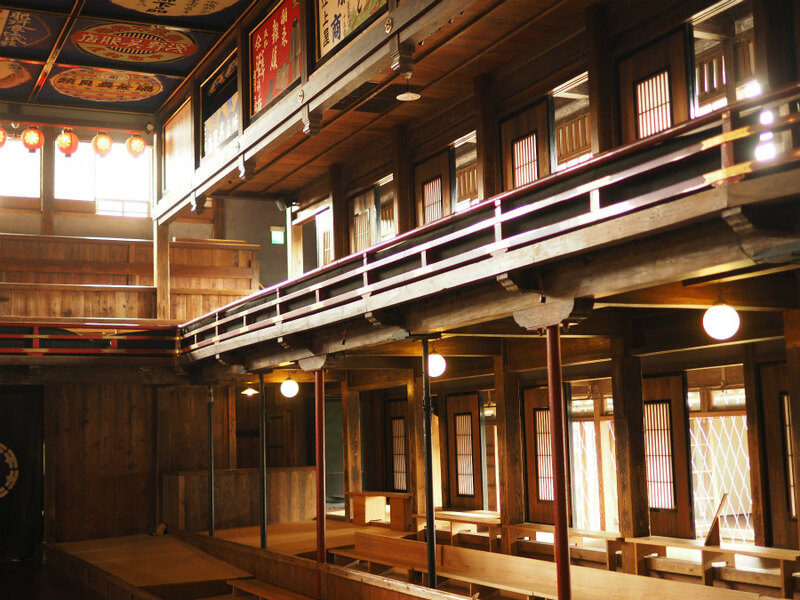 In 1996, large-scale repair work on the playhouse started, and was completed in 2001. 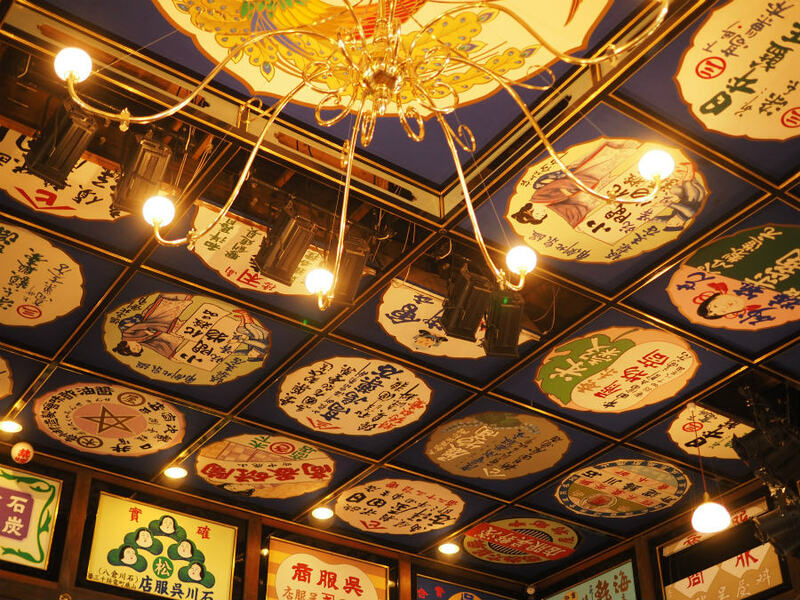 With new reproductions of the original chandeliers and ceiling advertisement paintings, the playhouse looks like what it was in 1923, when it was in its prime.